The University of KwaZulu-Natal UK Trust aims to fulfil its objects by raising funds to provide help for needy students at the University. More aid is provided for students who achieve better academic success, in line with the University’s policy. Students must have completed successfully their first-semester exams in their first year of study, as well as any subsequent exams/further years, to qualify for the Trust’s help. This policy aims to provide reassurance to Trust donors that those helped have a good chance of passing their exams and graduating. Following the latest changes to government funding for students’ fees, the Trust has redirected its assistance to provide bursaries to help cover tuition fees for some honours students and book and meal top-up grants for some undergraduates. All those assisted come from low-income families and qualify under the Trust’s criterion of need. 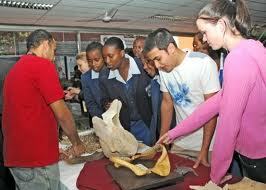 The Trust does not accept direct applications from students for its bursaries. The Trustees make awards from a shortlist of qualifying students provided by the University, along with details of their family income and academic records. The Trust’s focus always has been on the individual students it tries to help. Therefore, the Trustees try to correspond with them and obtain feedback on their hopes, ambitions and progress with their studies. The University administers the bursaries on the Trust’s behalf. Students seeking financial assistance should contact the University’s Student Funding Centre. The Centre’s website provides details of the conditions and parameters applying to the bursaries it handles. Margaret Thomas Scholarship: A special bursary was established by the Trustees in 2007 in memory of the late Margaret Thomas (nee Dent), who was a driving force behind the Trust. The bursary was changed to scholarship in 2011 to ensure that it could be retained by the student even if they later obtained other funding. Margaret, who died in London in 2006 after a long illness, helped found the charity in 1991 and served as Chair and as Secretary. 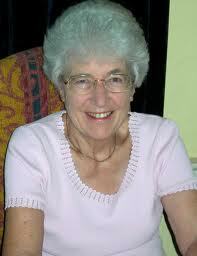 She is also fondly remembered as a lecturer and teacher of English, who inspired many students, pupils and colleagues. The scholarship is awarded every year to a student of the humanities, in view of Margaret’s own background. The first recipient of the Bursary was Valoshnee Gounden, who graduated with a Bachelor of Education degree focused on teaching English after completing her studies in 2009. The first recipient of the scholarship in 2011 was Paige Franklin, a BA (Psychology) student. See the Students page for the full list of recipients.